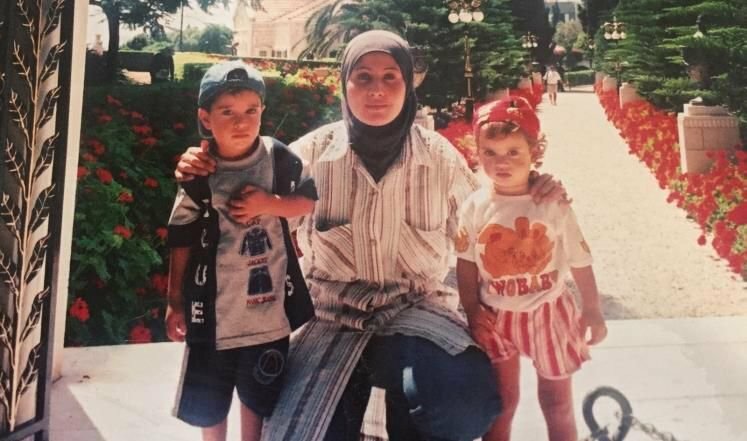 The administrative detention - imprisonment without charge or trial - of female Palestinian detainee Sabah Faroun has been renewed for an additional three months for the sixth time yesterday, 19 September 2017. Faroun, 35, was arrested by occupation forces on 19 June 2016 after they invaded her home in the village of Al-Ezariya east of Jerusalem. Her detention had been extended sixth times and she has been repeatedly ordered to different periods in administrative detention since she was arrested. Faroun is one of five Palestinian women currently held under administrative detention, among over 450 administrative detainees. Israeli Forces raided Sabah’s home at 3:00 am and searched it violently. They detained the children in one room by themselves and interrogated Sabah in a separate room. A female soldier strip searched her and then told her that they have an arrest order. They took her outside the house without allowing her to say goodbye to her children. They shackled her hands behind her back and blindfolded her. They took her to Etzion detention center. She was searched a number of times and stayed there until 8:00 am. She was then transferred to Ofer prison. Her hands were shackled behind her back the whole time. She was interrogated in Ofer prison for three hours. She denied all of the accusations. She was later transferred to HaSharon prison and then to Damon prison. Sabah is married to Mr. Issa Far’oun. She is a mother of four children, Abdul Razeq (15 years old), Alaa (14 years old), Tala (10 years old) and Leen (5 years old); all of her children are currently in school. Sabah’s family miss the presence of their mother and wife. Not knowing the reasons of her arrest or the date of her release increases their mental suffering.